You will find it very easy to place your bets and wagered onto the roulette games which you can download in an app onto your iPhone from any of our listed mobile casino sites. These games are all high definition ones and as such you will be able to see the ball spinning around the outer rim of the wheel and as the ball slows down you will then see it land gracefully into one of the number wells. You are also going to find that by playing real money roulette in your iPhone you will be able to place both low valued bets and some higher valued bets onto the roulette betting layout, so it will not be an expensive pastime if you just wish to play for low stake amounts. Comps will also be as readily awarded to you when playing roulette for real money on any type of iPhone so the more you play, win or lose, then the more comps points will amass into your comp club account. There are several different variants of roulette that can be accessed on an iPhone and as such look out for game such as the French Roulette and European Roulette games which have some very low house edges attached to them but conversely try and avoid the American mobile roulette game as that game has a higher house edge due to there being two zeros on the wheel! No matter how much you have in your gaming budget you should only be playing the Roulette games on your iPhone that are going to offer you true value and the maximum chances of winning. Below are a range of iPhone compatible Roulette games which you may be interested in playing, or not as the case may be! Bonus Roulette – There are some Roulette games which now let players place additional and never seen before bonus bets onto their betting layouts. Those bonus bets can, if they are winning bets, award some very large bonus payouts, but the compromise to be made when placing those types of bets is that the house edges attached to them are huge! Progressive Roulette – You may be tempted to play some of the Progressive Roulette games that are on offer to iPhone users, and if so then you will need to be aware that by playing those particular variants a side bet wager needs to be placed to put into play the progressive jackpot part of the pay table and betting layout, so always factor those side bets into your gaming budget! French Roulette – For anyone placing the low risk bets on a Roulette wheel those being the even money paying ones, then the only game you should be playing is the French Roulette game, for when you play that game and place just even money paying bets such as odd or even there is no other game offering a house edge as low as is found on this games low risk bets, so do check it out and give it some play time! If you are wondering just how configurable the staking options available to you if and when you start to play iPhone compatible Roulette games are going to vary depending on just which mobile casino sites you choose to play at. Be aware that most casinos will have a minimum bet per spin of just 1.00 however some mobile casino sites will let you lower the chip value settings down much lower, so look for those casino sites if you are a low rolling Roulette player! Will I get lots of bonuses sand/or comps? We have chosen to list our selection of mobile casinos sites as each of them are going to give their new players access to sign up bonuses and ongoing bonuses will also be available to you at those casino sites. You need to read the rules of each casino bonus you are thinking of accepting for not all bonuses can be used on Roulette games. 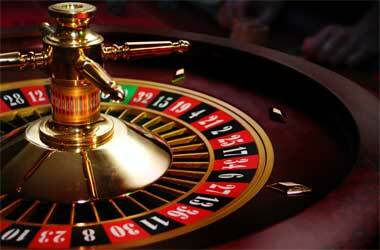 However, you will be earning comp points whenever you play iPhone Roulette games for real money. What casinos have RTG’s iPhone compatible roulette games on offer? Loco Panda offers their players a fully iPhone compatible mobile gaming platform, and when playing at this casino site it is the Real Time Gaming suite of casino games you will be accessing. We have reviewed this iPhone compatible casino site on our website so take a look at that review to find out what other Real Time Gaming designed and supplied casino games you are going to be able to play if you decide to play there. Which bet returns the highest winning payout odds? The progressive games have the highest valued jackpot payout but each of the other standard games will enable you to place a range of different bets and wager onto the roulette table. However, the highest paying one you can place is a straight up number bet. By placing a chip on one single number if that number is then spin in you will then be paid out at odds of 35 to 1 on the amount you wagered on that single number. What unusual roulette game can I play? If you want to play a new type of roulette game that you may never have come across online before then at a mobile casino site then look out for the live dealer roulette games! How do the house edges compare? The house edge of any roulette game will either make that game playable or one to avoid, 1.35% is the house edge on the even money paying bets on the French Roulette game, when playing the European Roulette game the house edge on all wagers is 2.70% but the American Roulette has the highest house edge for that games has two zeros and the house edge on that game is huge at 5.26%.